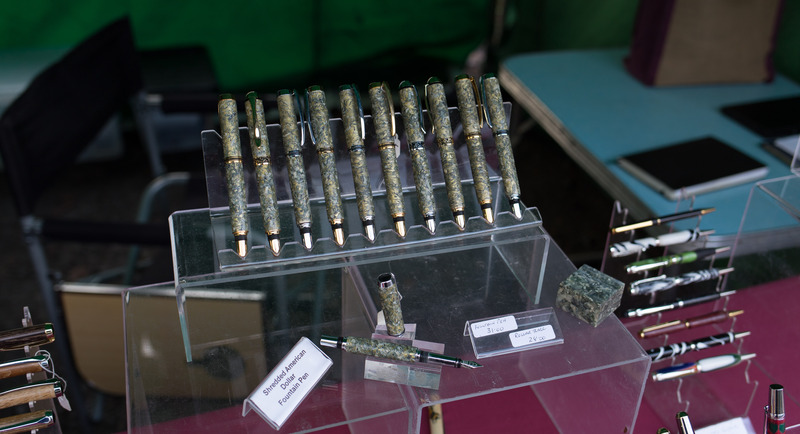 Today: another fountain pen related blog post. I try not to have too many of those, as this is mainly a pencil blog, but neither the last post about fake Lamy Safaris, nor this one were planned. They ‘just happened’, so please bear with me before we go back to pencils. The weekend before last our family went to to the farmers market at Cuerden Valley, a park about three miles South of our home. 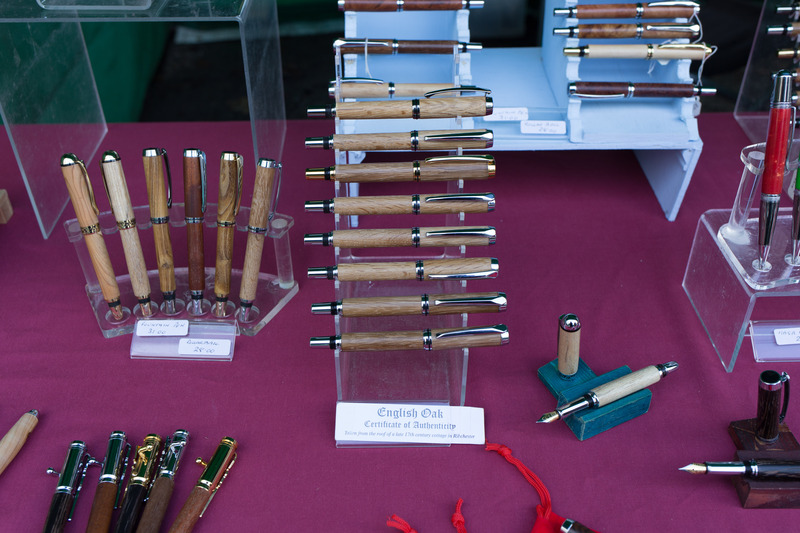 We didn’t know what to expect and there weren’t much more than maybe ten to fifteen small stalls, but one of the stalls came as an unexpected surprise: Wood turned pens! All the pens on sale there were made locally by David Royle. 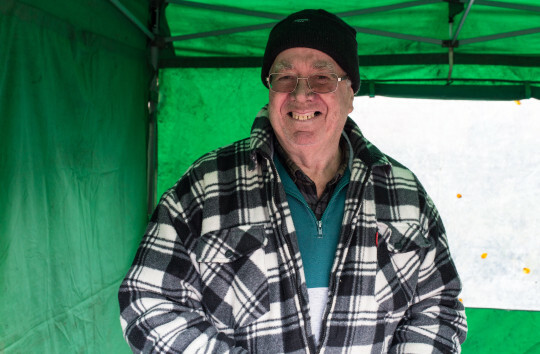 He started wood turning in 2004, but only recently, in 2012, started with pens and explained that he is still on a learning curve. He did also do mechanical pencils in the beginning, but because of problem with the pencil mechanism he stopped doing them. 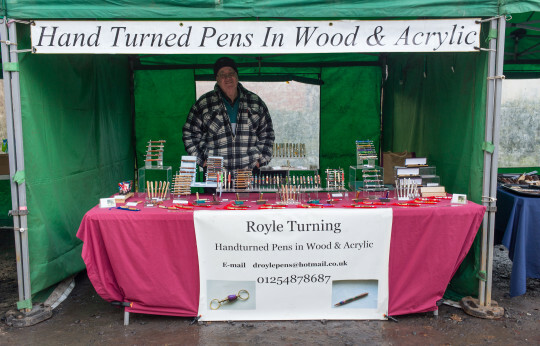 My assumption is that he buys the complete pen bodies and mechanisms and then creates and adds the wooden ‘shell’. Some of his wooden pens use rather special wood. One example is wood from Jim Beam or Jack Daniels Whiskey barrels. He told me that his whole house will have a nice whiskey smell like when he works on those. 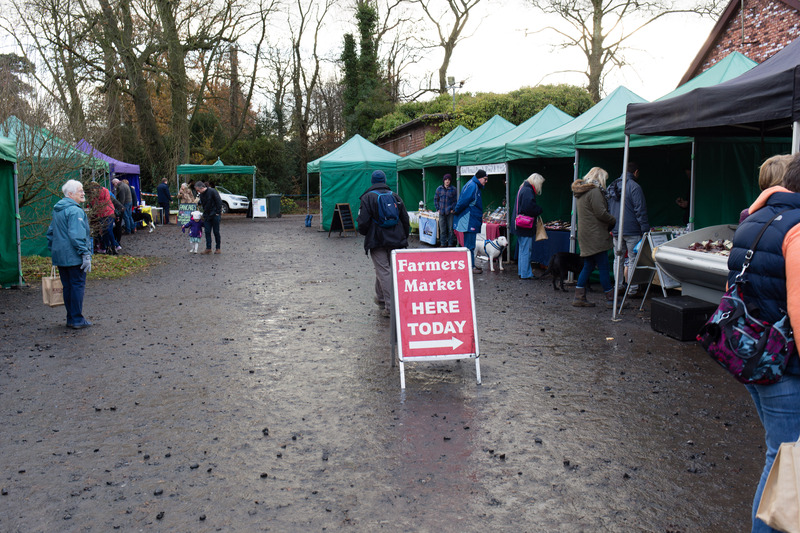 Another example is English oak taken from the roof of a 17th century cottage. There’s also material other than wood that is quite exciting, e.g. 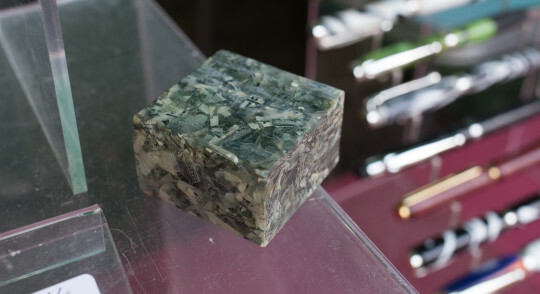 shredded Dollar notes made into some sort of resin ..and there are also acrylic pens. 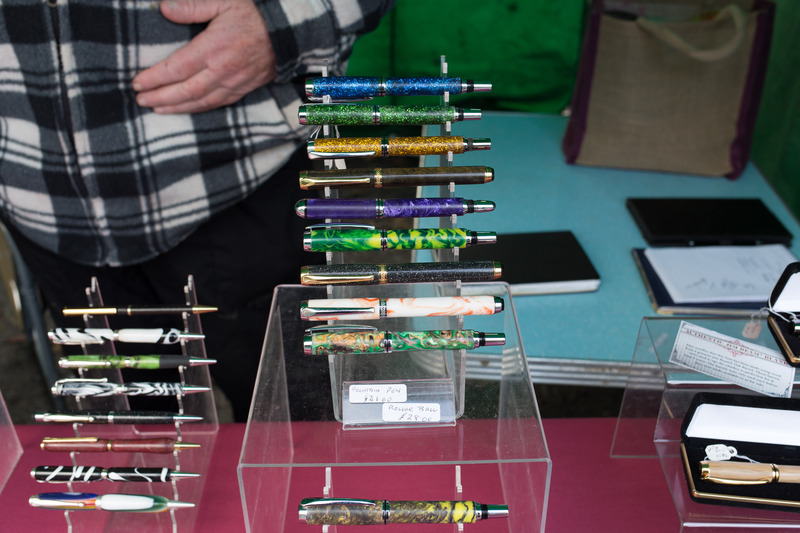 He said the whole house will smell horrible when he works with the acrylic material.The most special pens are probably the inlay wood pens where coloured wood shapes are inlayed into the wood first before turning. This seems very labour intensive process. I bought a fountain pen with African Wenge (African rosewood) wood for £31 (~$39; €37). It came with a converter and features a common Iridium point Germany nib1 that is slightly springy, by springy I mean that you can vary the line if you press hard. The pen is quite light and, unusally, features a thread on both ends of the body so that you can screw the cap on the end when writing. 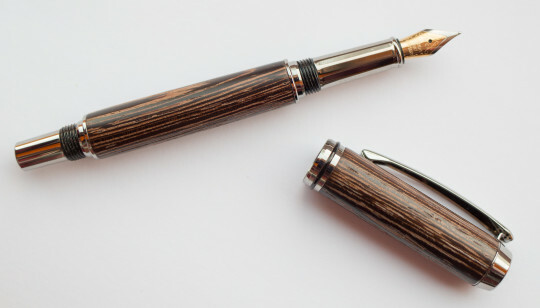 The grip section is a bit slim and doesn’t provide much grip, but other than that it is a nice fountain pen which is made beautiful by the wood on cap and body. I had a look and found web sites selling tools and ‘blank’ pens for pen turning. They seem to cost around £6 (~$7.50; €37) and come from China, which reminded me of Richard Binder’s article on IPG nibs. Well, finding pens at a farmers market was an unexpected surprise and hearing from the maker himself was fascinating. As always: if you want to see an image in full resolution please right click and open in a new tab/window. Looks like a good choice – the grain is beautiful!